Hello friends! It’s Courtney from Paperelli and here I am again – ready to share another free printable with you. Seriously, you guys! Aren’t cacti adorable? 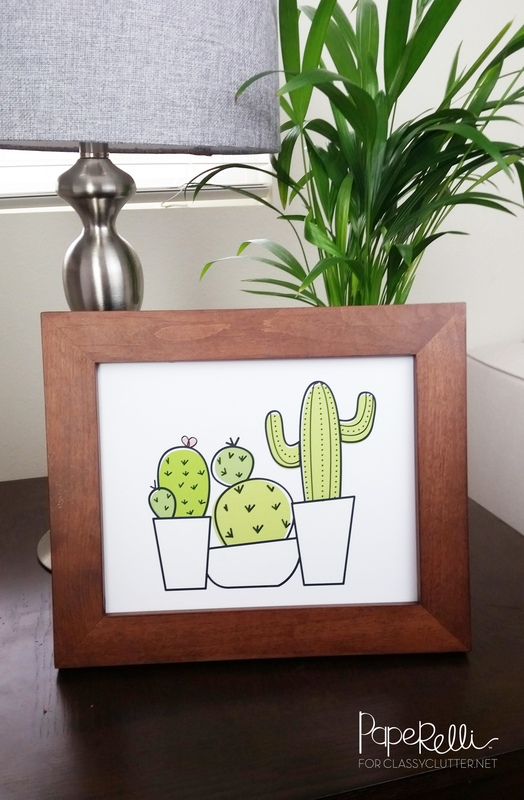 I have been on a major cactus kick lately and I knew I had to design a cactus printable! Every time I see a cactus it reminds me of Arizona. My family and a huge part of my heart lives in the state of Arizona! This cactus printable is an 8×10″ sized print and designed to be printed on white card stock. I can see it as the an adorable, prickly addition to your gallery wall, nursery, office, or wherever you’d like! It will add a fun pop of color and a fun dessert vibe to any room! I always love seeing what you do with your printables and let us know what you did with it. Feel free to tag @paperellidesigns and @classyclutter on Instagram and show us what you do with your #paperelliprintables. Also let us know what you think about this fun printable. We would love your fun take on it and also some ideas on what printables you would like to see! Thank you! I hope you have enjoyed our printable. What a cute printable! This would be lovely on any work desk! This is so cute! 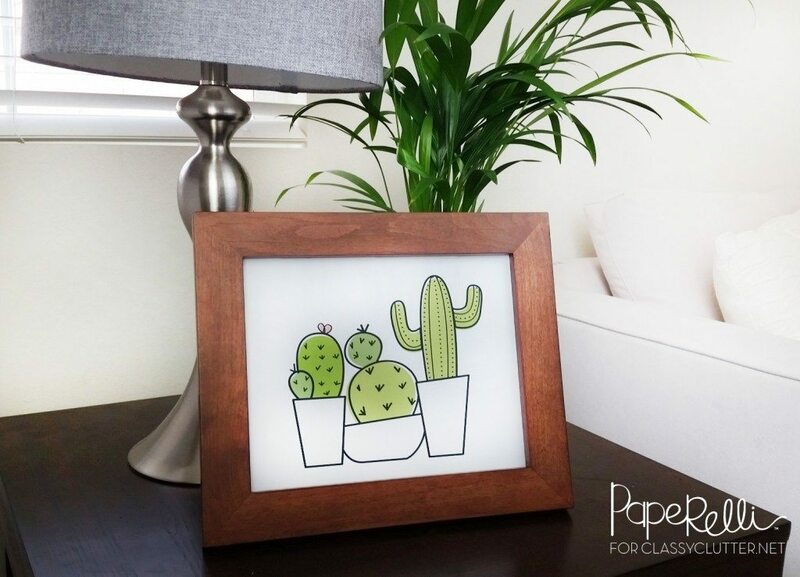 Cacti really are adorable, and they make for awesome decor, both in the house and in the yard! Great printable! Thanks so much for sharing! Thank you! I plan to use this in my cactus themed classroom this year.